The latest Rebelle 1.5 update brought many groundbreaking features for which lots of interventions to the application’s code were necessary. This unfortunately led to some bugs in the app itself, especially on different types of graphic touch tablets. Thanks to the help from our users we managed to fix these issues. We made also some useful changes, added French, Russian and Turkish language and releasing Rebelle 1.5.1 update. - Auto-update for language translations within application. - Languages can be selected from menu -> Help -> Languages. - Fixed cursor offset for some tablets. - Fixed bug with multitouch for some tablets. - Shortcuts for brush modes (Normal, Permanent, Dirty and Clean). - You can choose the color also with “Dirty Brush”. - Changes in layer naming when merging layers. - Mac OS texture visibility fix. - Number edit box easier to use. - Edit box slider can be changed with touch. - Tilting respects portrait/landscape orientation. - Transform layer scale fixed. - User interface minor changes. You can download the 1.5.1 update from our Download page. 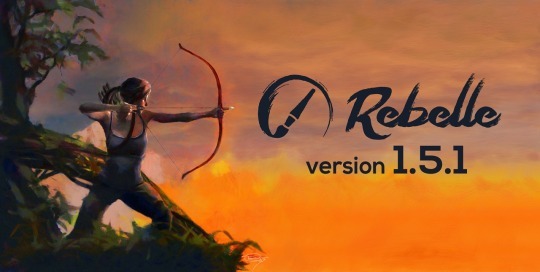 The update is free for all existing Rebelle users. Find out more about Rebelle on our website: rebelle.escapemotions.com or try the free Demo.